PSG started this season with a game in Super Cup of France against Monaco, where won with 2-1 and started this campaign with trophy. In Ligue 1 also made a good start after home win over Amiens in the first round with 2-0, while in the previous game beat Guingamp with 3-0. So 3 wins in 3 games from all competitions is pretty solid form in the beginning of the season. Also their record signing - Neymar made a debut in the previous weekend and played really good - 1 goal and 1 assist in his first game is great start of the Brazilian player in France. Lucas is still injured and most probably will miss here, but there are no fresh injury concerns, so full squad available. Toulouse started the season with away game against champions from Monaco and lost with 2-3. They lead with 2-1 in this game, but lost it in the second half with 2-3. But they was a little bit lucky as played defensive with only 3 shots on goal for the whole game and 2 of them scored. Then in the second round had a home match against Montpellier and won with 1-0 after goal from penalty. Again bad performance in attack with only 4 shots on goal in this game. Michelin and Yago are injured and out, while Diop and Fortes are both doubts here. 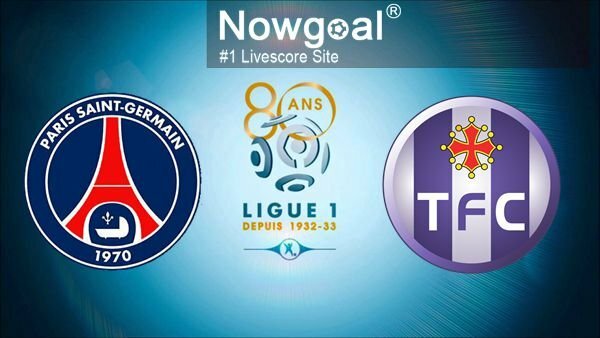 Last season Toulouse didn't lose against PSG after 2-0 win at home and then 0-0 in Paris. But now PSG are in great form with 3 wins in 3 games from all competitions, also in attack are impressive with Cavani, Di Maria and Neymar, also Pastore on the bench, so here I expect an easy home win.